Thomas Whitcombe was a prolific and dedicated marine artist, regularly exhibiting at the Royal Academy between 1783 and 1824. Much travelled, his output became topographical as well as depicting naval battles and skirmishes, and this made him very popular with a British public hungry for knowledge of their fledgling Empire. 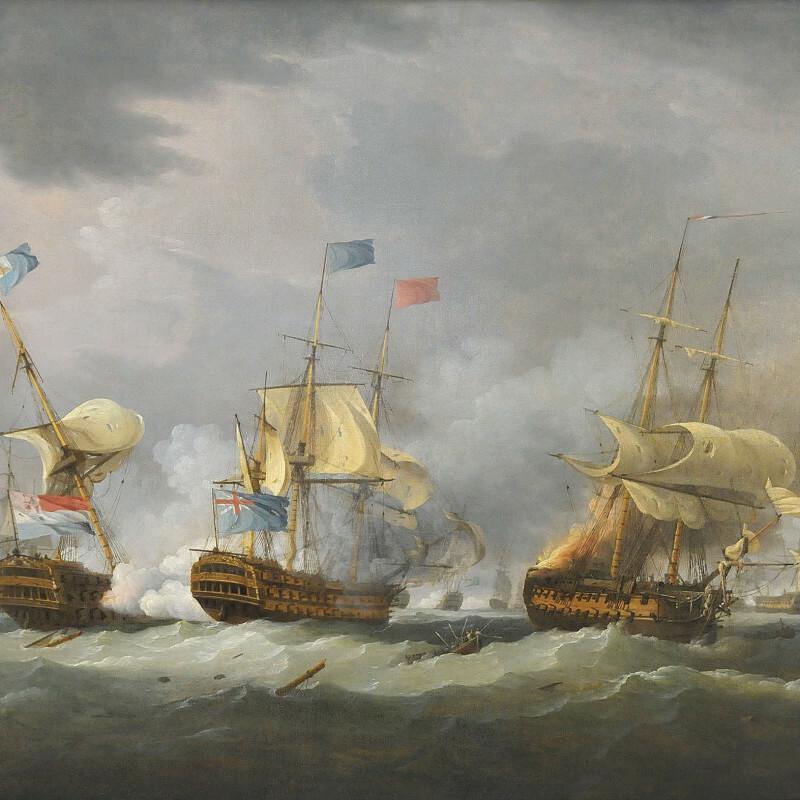 He was best known for producing 50 paintings to illustrate "The Naval Achievements of Great Britain", which were engraved and sold particularly well at the time. Whitcombe's work is crisp and fresh with great attention to detail, but it is his choice of varying subject matter that marks him out from his various contemporaries.